On a recent summer morning Corey Philips was more like a Best Buy employee opening the doors on Black Friday than a councilor at a computer camp for children. The 35-year-old greeted a group of elementary school students fresh off a snack break at Einstein’s Workshop in Burlington, Mass. Rushing into a computer lab, the children whooped, hollered, shimmied and shook their way to their seats. They couldn’t wait any longer to play one of the world’s most popular videogames. “Are you guys ready to be unfrozen?” Philips said before unlocking their computers to resume his class that uses Minecraft to teach architecture to children. Believe it or not these kids and millions more like them are the future innovators of the AEC industry. The construction-based online game allows players to build unbelievable structures and cities with 3D digital blocks that look like LEGO’s. While playing Minecraft, kids don’t even realize they are learning valuable problem solving and computer skills that are crucial for the architects and civil engineers of tomorrow. Initially kids are attracted to Minecraft’s “survival” mode where players build shelters to protect themselves from monsters known as “creepers” and “mobs.” But Philips said by middle school students are enthralled with the “creative” mode where players have unlimited blocks to build buildings and cities. They create vast virtual worlds known as “maps” or “servers” that can be inhabited by other players online. Kids often build structures together. And they devour books and YouTube videos to learn how to build better. 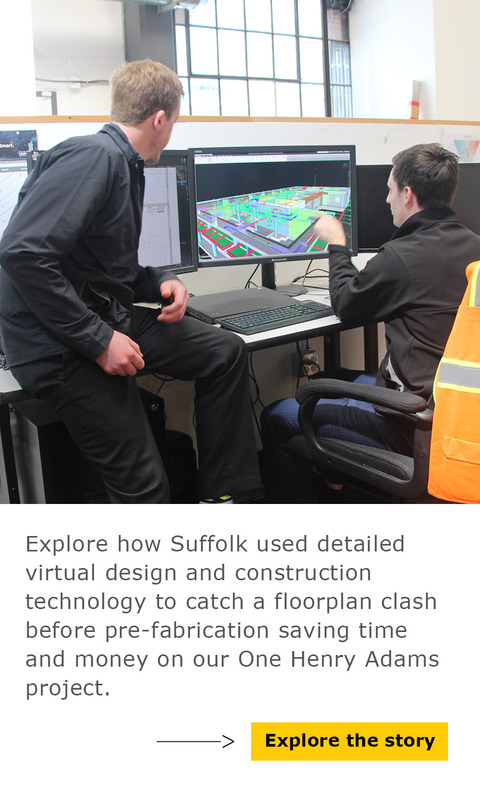 Philips doesn’t hesitate to say that Minecraft is already shaping future innovators in construction. Since it was founded three years ago, Einstein’s Workshop has offered classes in programing, LEGO’s, robotics and 3D printed art. In 2013 the creative director for the center, Katy Hamilton, got the idea to add a Minecraft Architecture class to the center’s vast course list. The class has been offered year round ever since. 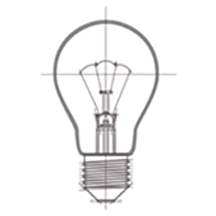 Students learn concepts such as dimension and scale, as well as how to research building materials and blueprints online. Each semester features a different theme, such as outer space, medieval times and modern cities. In the advanced Minecraft Architecture class at Einstein’s Workshop, students use a command-line tool called WorldEdit to recreate real-world cities and buildings. They also complete a research project and create their own topic of study. Luke Johnson, 11, who has taken the architecture course twice and built the Gateway Arch in St. Louis, said the class has reaffirmed his dream of being an architect. 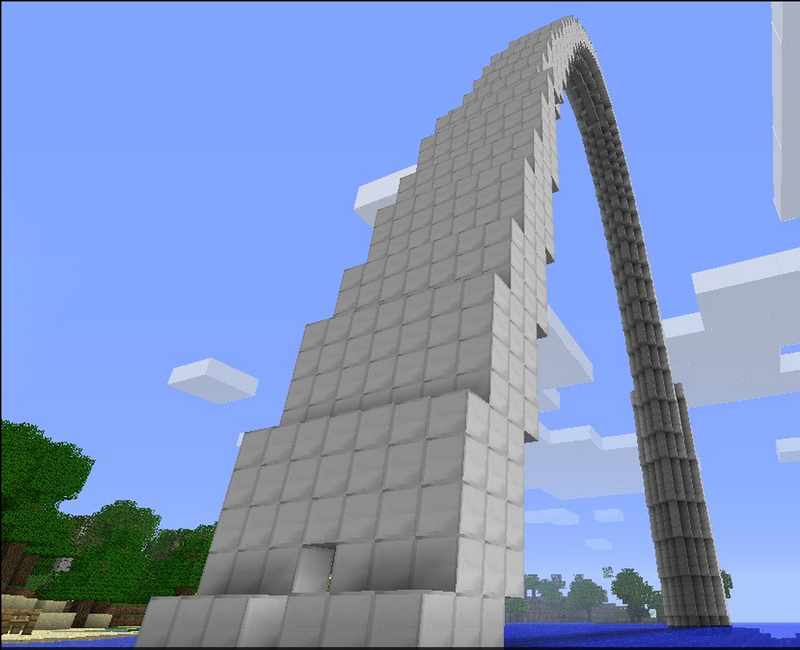 A Minecraft rendering of the Gateway Arch in St. Louis. Kelly Durkee-Erwin’s son, Cameron, is a seventh grader interested in an engineering career because of Minecraft. She said the game teaches problem solving and logic as well as teamwork. “He still wants to be a rock star, but on top of that, he also wants to be an engineer to raise money to be a rock star in his spare time,” she said. “This is teaching them engineering and architecture, but don’t tell them that because it is a game. They are learning all of these things they are going to need to know but they think it’s fun.